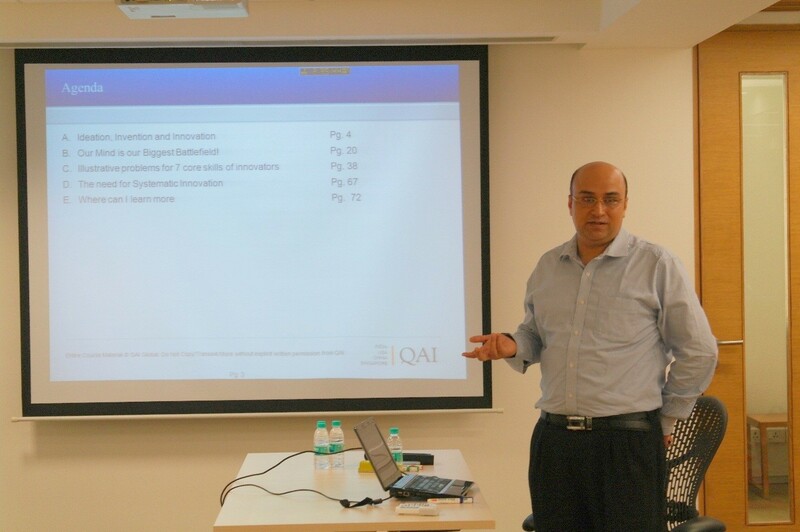 On November 7, 2014, Aditya Bhalla, the innovation practice head of QAI (Global), conducted an interactive session on systematic innovation at the Net Solutions premises. Aditya is also the president of TRIZ Asia Forum and one of the two in South Asia to be certified MATRIZ level 3 and ITRIZ-IPS. 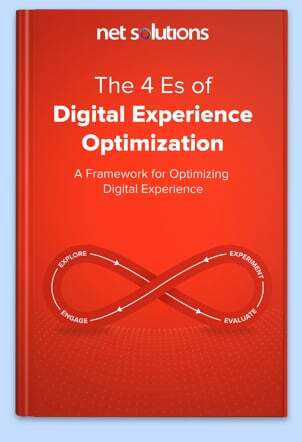 He is an AFD trainer, besides being a Lean Six Sigma Master Black Belt. He has facilitated more than 400 projects spanning different industries and trained more than 1500 people in areas related to design of products and services, business process innovation, innovation in entrepreneurship, business process design and improvement. 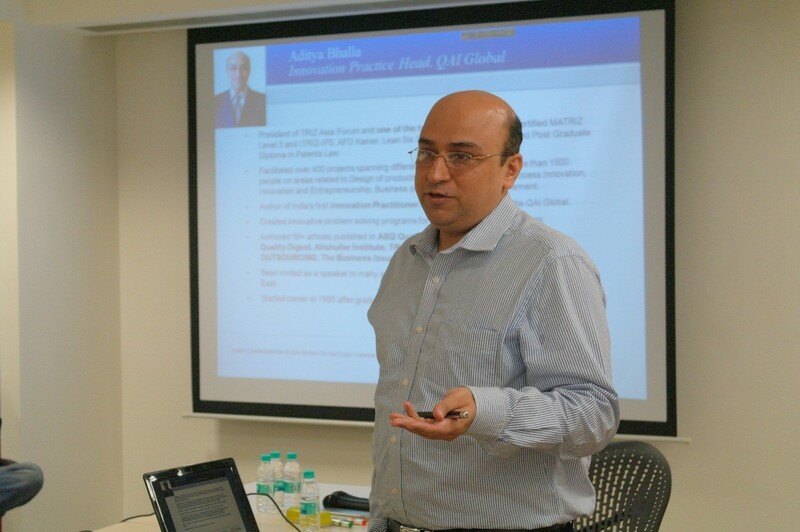 He is the author of India’s first Innovation Practitioner Certificate from ASQ India-QAI Global. He has been invited to many international conferences in the Middle East and Asia Pacific as a speaker. 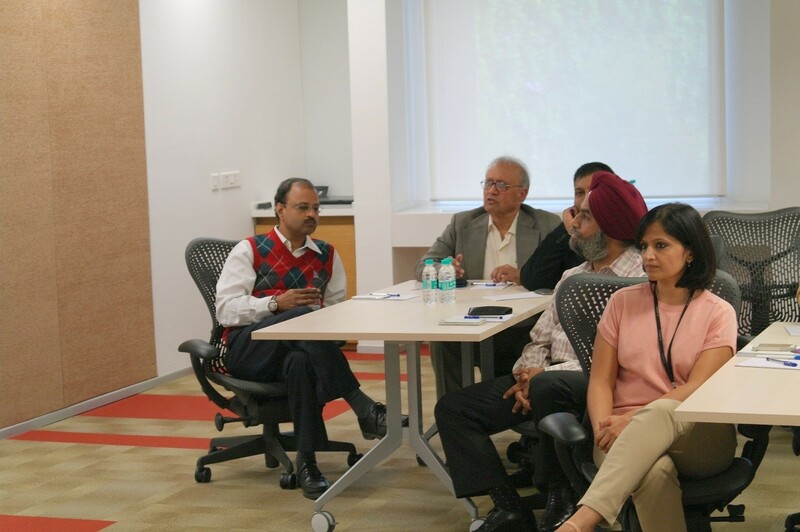 This edition of the Chandigarh CEO series was organized by Net Solutions in collaboration with NASSCOM. He began by gathering the participants’ ideas about what they expected to learn about innovation from the session. He covered the topic about ideation, invention and innovation through a team-based exercise. The participants were divided into different teams with each team comprising those occupying seats around the same table. Each team was asked to define the terms in their own way and Aditya collated the views of all teams on a whiteboard. Subsequently, Aditya shared his own definitions and elaborated upon them. He outlined that innovators are problem solvers and then gave all teams the task of defining what a problem is. He later explained that a problem is the gap between the current and desired values of some characteristic that is required to be changed. He described problems as those which are routine and those which require creative solutions for which routine answers run out and innovation is required. He clarified that systematic innovation is a structured process for generating innovative ideas. He listed the application areas for systematic innovation including anticipatory failure determination, directed evolution, inventive problem solving and control of intellectual property. According to him, what stops an idea from becoming an innovation includes the ideas not being bold enough, not offering value for money and not being sufficiently useful. The presenter began with a practice exercise for all teams to think of unique ways of using a spoon. They were all given two minutes to come up with as many ideas as possible. He then dwelled upon the relationship between creativity and age and told those attending the session that creativity peaks at 10-12 years of age and declines thereafter. According to him, the peak age group used to be 12-14 years but has receded along with the predictability that has increasingly become a part of human life. He also conducted a team exercise to demonstrate how knowledge and expertise can constrain innovative thinking rather than enhancing it. The examples he provided to illustrate this included a formula race car powered by chocolates, steered by carrots and body work made of potatoes, besides heavy dumbbells that can be carried along on tours simply by emptying the water filled inside them. He explained that the mind refuses to let go of solutions even as solutions keep changing or evolving while functions remain constant. This is because of psychological inertia. Apparently, a high IQ and EQ are not equivalent to high thinking skills. He explained abstraction and analogy thinking in a nutshell as someone from another industry proposing a solution for a problem. He provided examples including the removal of seeds of bell peppers and the cracked outer coating of diamonds through a similar solution that covered the alternate application and removal of high pressure. Aditya conducted a team exercise at that point, aimed at removal of jargon and problem definition. 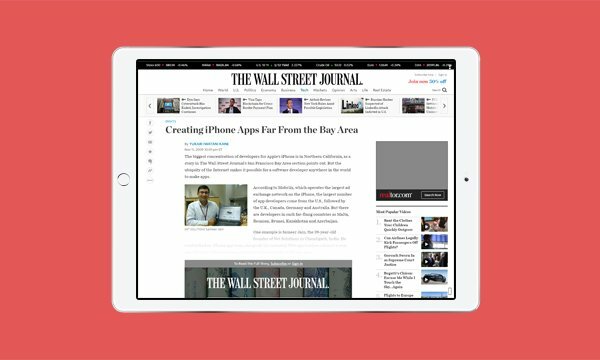 He illustrated ‘ideal scenario thinking’ through the example of a mobile app for buying rail tickets. 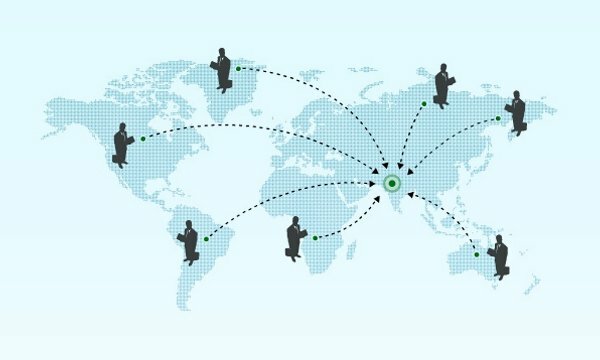 He used the example of a 6-device remote control and that of a Tamil-language SMS to illustrate that you can either manage within given constraints or make the constraints irrelevant, to obtain value from the customer’s perspective. He provided examples for contradiction thinking also, such as, a car that should be small on the outside and big on the inside, in the form of team exercises. He outlined that win-win situations have to be created in such instances. 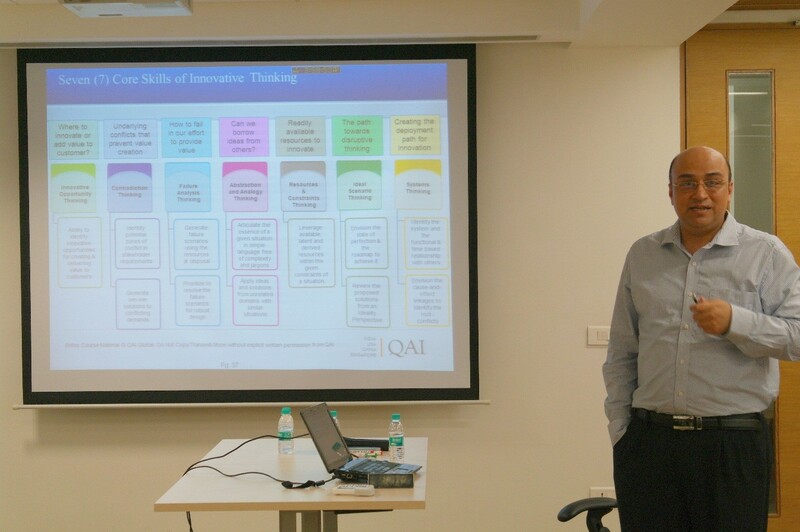 Aditya outlined that innovative thinking can’t be left to chance and it is significant to think systematically. 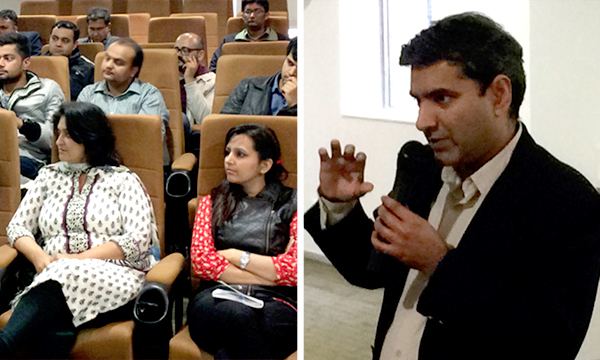 An interactive session on "Creating a win-win strategy for customers"